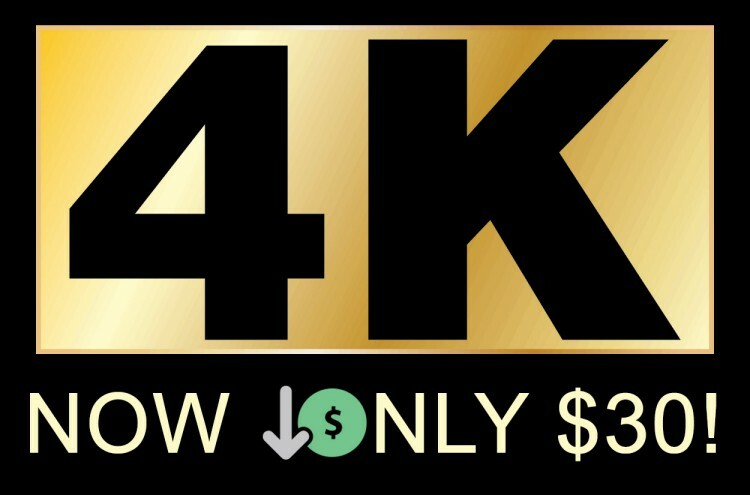 We would like to inform you that we have decreased the price of a 4K render of a single video to $30. Basically, we can provide two versions of a 4K file. The cheaper (standard) option costs $30, while the more expensive option is still $100. You can read more about this on the 4K order page.